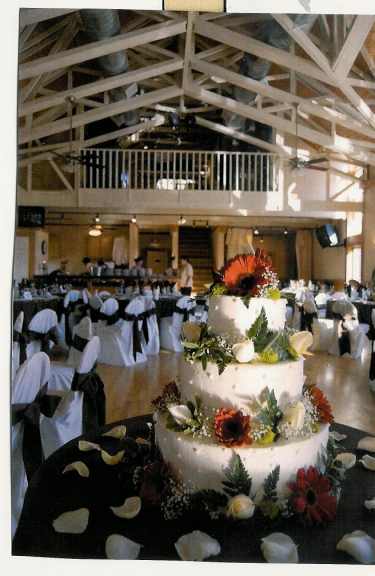 The Sardis clubhouse has a beautiful second story banquet room overlooking the competition size swimming pool and five acres of wooded, beautifully landscaped property. This spacious room has capacity to seat 120 guests and offers floor to ceiling windows, exposed beam ceiling, hardwood floors, and wooden deck overlooking the pool. Additionally, there is a full kitchen with serving bar making it the perfect spot to entertain. 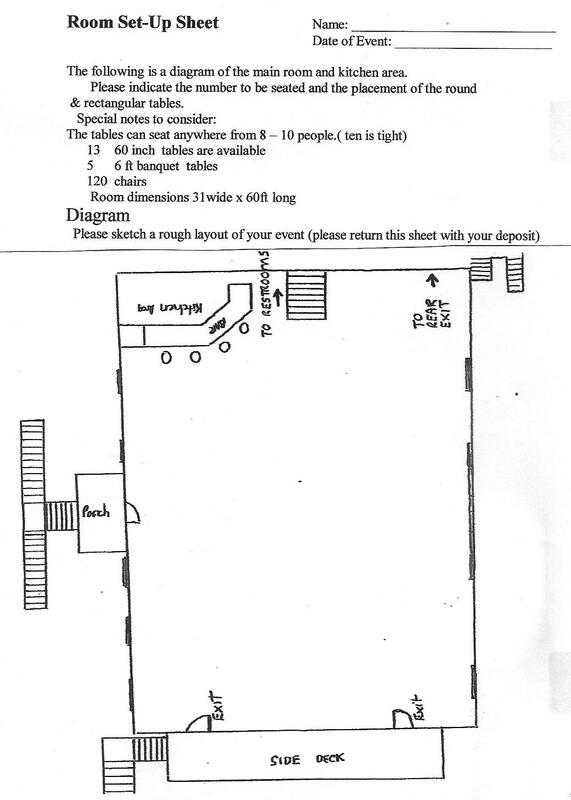 Rental fees include set up and take down of tables and chairs, as well as clean up. All you need to bring are your guests, caterer, music, linens and serving ware! To check availability and place reservations, contact the club at 704.364.1533 (please allow up to two business days for processing). NOTE: The banquet room is on the 2nd floor of the clubhouse, which is only accessible by stairs, meaning, we are not handicap accessible. This rate is for members of Sardis only. Daytime only (2-4pm latest rental time), 16 children max, simple party with no alcohol. Bounce house, Legos, air hockey table available. Ask for details when requesting reservation. This rate is for members of Sardis and their immediate family. This rate is for organizations that members of Sardis and their immediate family are affiliated with, such as sports teams, school groups, professional groups, etc. This rate is for individuals who are not members, but are sponsored by a member. To qualify, the member must contact Sardis to request the rental and plan to be in attendance at the event. This rate is for individuals who are not a member of Sardis nor sponsored by a member. * Non-member rentals are unavailable from Memorial Day to Labor Day (summer / peak season), and holiday weekends. Other exclusions may apply. Rental duration includes set up and clean-up time. Sardis provides table and chair set up and break-down. Clean-up is renter’s responsibility. Sardis can provide clean-up services for $150. Additional time rate is $100 per hour and must be pre-approved by Sardis. No event shall run past 12 AM (midnight). A Certificate of Insurance or purchase of Event Insurance will be required. Event Insurance rates vary depending on the size and scope of the event. Renter is responsible for obtaining an ABC Permit if alcohol (beer/wine does not need permit) will be served at the event. No exceptions. Rental fees and Clubhouse Rules are subject to change. NOTE: Sardis Swim and Racquet Club reserves the right to cancel a rental if any requested items are not furnished in a timely manner prior to the event.